Niche M149 Verona Anthracite Custom Wheels Rims. The Niche M149 Verona is available in 17, 18, 19, 20, 22 and 24 inch sizes. Staggered fitments are available in select sizes. The M149 Verona is designed to clear the brakes of modern muscle cars like Camaro, Charger and Mustang as well as European models. 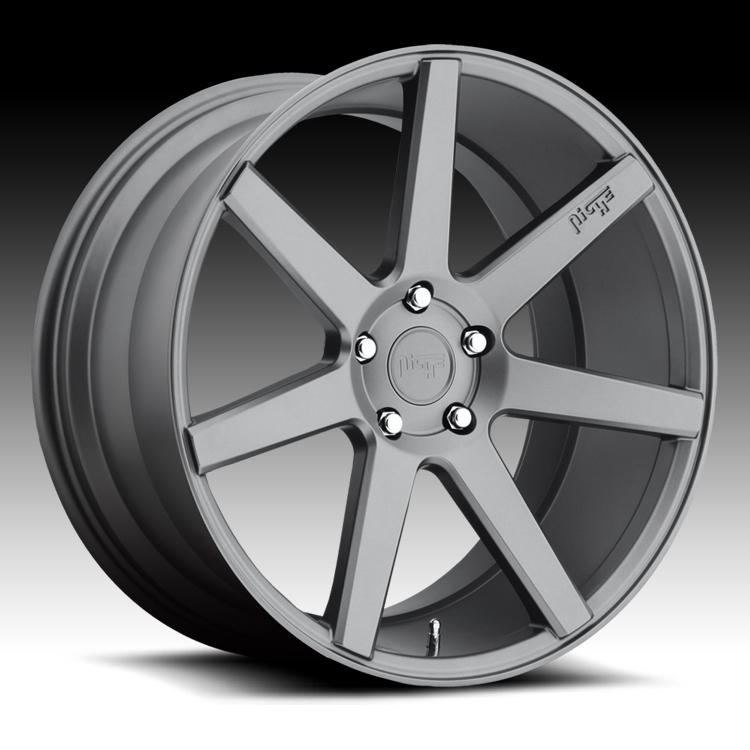 19x8.5 5x114.3 +35 M149198565+35 $240.00 34 Lbs -->> Call or email for special deals! 20x9 5x114.3 +35 M149209065+35 $280.00 28 Lbs -->> Call or email for special deals! 20x9 5x120 +35 M149209021+35 $280.00 28 Lbs -->> Call or email for special deals! 20x10 5x114.3 +40 M149200065+40 $280.00 27 Lbs -->> Call or email for special deals!